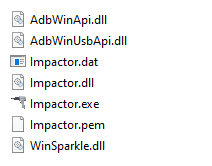 Cydia Impactor is a Windows Application that allows you to root any Android Device in a Single Click. It is developed by Saurik (Developer who created Cydia for iOS devices). Here, we are going to guide you how to use Cydia Impactor Application to root any android device. 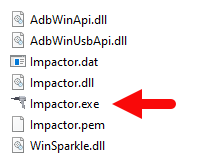 Step 3: Now, Open Impactor.exe (you have extracted this file in step#2). Step 4: Once Cydia Impactor Application is launched, connect your Android device to the computer (with USB Debugging enabled). Step 5: Now, to begin the rooting process click on the Start Button. Step 6: Now, Cydia Impactor will install SuperSU binary on your Android Device. Once, this process is completed, close the Cydia Impactor application and Disconnect your Android Device from the computer. Step 7: Now, Restart your Android Device. Step 8: Once your Android Device is restarted, Open Google Play Store. In PlayStore Search and Install SuperSU application (chainfire). Step 9: Now your Android Device is Rooted successfully. To check whether your phone is rooted correctly, open SuperSU application that you have installed from Play Store. If you are able to use it without any error then it means your device is rooted successfully. Optional: You can also verify your device is successfully rooted or not by Root Checker Application. [*] How to unroot: To unroot Open SuperSU > Settings > Full Unroot. [*] If you have tried the above tool to root your Android device the please let us know if it works or not with your Device Model Name. [*] Credits: Cydia Impactor is created by Saurik (cydia developer). So, full credits goes to him for sharing the application for free.